Joseph Boakye Danquah has been described as the doyen of Ghanaian politics. This accolade was given to him by the Watson Commission of 1948 which was set up following the riots in the Gold Coast. Danquah and Busia belonged to the Dombo or Matemeho conservative and federalist grouping, as well as the Danquah-Busia school of thought in Ghana’s political history. J.B. Danquah was an Akyem with his step-brother from the royal family of Kyebi (Kibi). In 1921, he was sponsored by the Abuakwa State, ruled by his step-brother, Nana Sir Ofori Atta III to go and read law in the UK. Before then, he had completed and passed his standard seven examinations, popularly called Hall in those days. He was apprenticed to a renowned lawyer in Accra, where he worked for some time before being assigned to the Supreme Court, and later to the Eastern Regional House of Chiefs. In the UK, he earned his first degree from the University of London, and upon passing with flying colours, he went on to earn his Phd in Moral Philosophy and Logic, the first West African to do so. Danquah was a maternal uncle of Nana Addo Dankwa Akufo Addo. When Nkrumah was invited by Ako Adjei to come from the UK to become the Secretary General of the United Gold Coast Convention (UGCC), the UGCC was led by stalwarts like J.B. Danquah, Paa Willie or William Ofori Atta, Pa Grant, a Takoradi-based timber merchant and business tycoon, and others like Casely Hayford. Those were among the intelligentsia in the then Gold Coast. UGCC was founded in 1947 at Saltpond by J.B. Danquah, George Alfred Grant, Robert Benjamin Blay, and Awoonor Williams, a Sekondi Barrister. Danquah declined the offer at Achimota and set up his own private law practice. In those days, private chambers run by blacks were uncommon, and I guess Danquah was an enterprising entrepreneur, who saw opportunities galore or a market gap to exploit. Danquah was born on 21st December, 1895 at Bempong-Kwahu to Emmanuel Yaw Boakye, and Madam Lydia Okum Korantewaa. Danquah’s father was chief drummer at the palace of Nana Amoako Atta III, Omanhene of Akyem Abuakwa. It was Danquah’s elder sibling from another mother, who was 14 years older, who later became Nana Sir Ofori Atta III. It was he and the Abuakwa State who sponsored Danquah to go and study law in the UK. On his return from London, he set up an influential newspaper known as the Times of West Africa. He served as the Secretary of a delegation to London in 1934 which was to petition the Colonial Office against the introduction of the obnoxious Sedition Bill and the Water Bill. Those bills were meant to restrict the rights and freedoms of our people. Danquah served as Secretary General of the Gold Coast Youth Conference (GCYC) from 1937 to 1947. GCYC was founded in 1929 by Casely Hayford. GCYC was the forerunner of the UGCC. He was elected to the Legislative Council in 1946, under the Burn’s Constitution. He fought relentlessly to bring about constitutional reforms. He championed the cause of farmers so much so that he was awarded a citation by the farmers, who called him Akuafo Kanea (The Light of the farmers). Danquah helped to found the United Gold Coast Convention, which demanded self- government for the Gold Coast. The UGCC was founded on 4th August, 1947 at Saltpond. 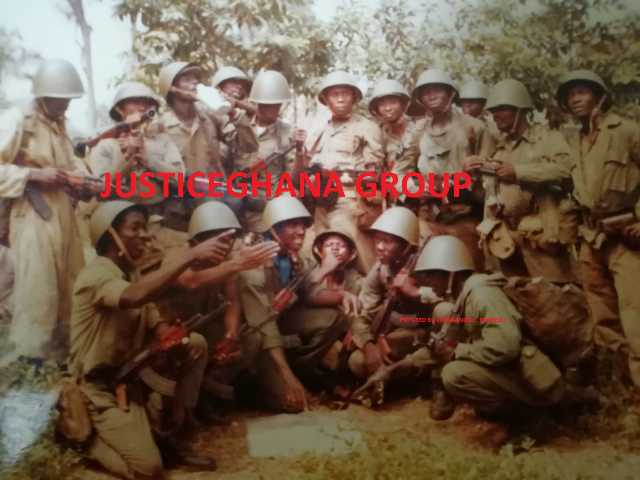 On 13th March 1948, he was arrested with the Big Six following the 1948 riots which had earlier on culminated in the shooting incident at the Crossroads, on 28th February 1948, of Sergeant Adjetey, near the Christianborg Castle. The ex-servicemen were on their way to the Castle to present their petition of being neglected after their return from the 2nd World War, when one colonial police officer called Captain Imray, ordered their shooting. Before then, one Ga Chief, Nii Kwabena Bonne III, Osu Alata Mantse, had organized a boycott of all European shops and there was looting and pillaging of shops across the length and breadth of the Gold Coast Colony. Some shops belonging to expatriates were torched down. The Colony became ungovernable, and the Governor had to call in troops from Nigeria to quell the riot. Danquah used his influence and tenacity to convince the Asante (Ashanti) to become part of the coastal colony called the Gold Coast. He fiercely fought to have the indigenization of the civil service, and dominance of the legislative assembly by African representatives. Indeed, Danquah was a true and real patriot. His 1943 constitutional memorandum formed the basis of the 1945 Burn’s Constitution.In 1951, he was again elected to the Legislative Council, which was a very much privileged position in those colonial days. He failed to be elected in the 1954 and 1956 elections. When he lost, he claimed the elections were rigged. In 1960, Danquah contested the presidential elections against Nkrumah in the Presidential elections but he received only 10% of the votes cast. In 1961, he was imprisoned under the Preventive Detention Act (PDA) and was released in 1962. He became the President of the Ghana Bar Association. He was rearrested in 1964 and sent to the condemned cells at the infamous Nsawam Maximum Security Prison, where he died of a heart attack on 4th February, 1965, aged 69 years. He was said to be diabetic. He left behind ten children from his wedded wife, though there were other children on the sides from his earlier amorous adventures, when he sowed his wild oats. Danquah was a prolific writer. He produced two great books namely, Akan Laws and Customs (1928), and Akan Doctrine of God (1944). His works are still consulted by students of Sociology, Law, Cultural Studies, among others. While a student in London from 1921 to 1927, he became the Editor-President of the West African Students Union (WASU), to which Nkrumah also belonged during his brief stay in the UK after his exit from the USA. In 1934, while on a petition delegation to London, he researched at the British Museum and came up with the name Ghana for the then Gold Coast. He researched and discovered that Ghanaians are descended from the ancient empire of Ghana which flourished between the fourth and twelve centuries at the Niger bend, near present day Timbucktoo in Mali. Of course, that fact was known by many people but it was he who championed the cause for the name Ghana to be adopted at independence. The name Ghana must have come from the Guan name Gyan or Djan. Out of the name Gyan, we have anglicized versions like Ghunney, Ghansah, Ghartey, among others. In 1954, after he lost elections massively to the CPP, while running on the ticket of the UGCC, he was invited to New York by the UN to receive the Bryony Mumford Writing Fellowship, which had tenure of 3 months. When he arrived back in the country, he was conferred with the title of Twafohene by the Abuakwa State, with the stool name of Barima Kwame Kyeretwie Dankwa. Among his illustrious accomplishments was his unyielding fight to have the University of Ghana established in 1948. The British had proposed the establishment of only one university for the whole of West Africa at Ibadan in Nigeria, but Danquah refused. I wonder why we have no Danquah Hall at Legon or Danquah University of Constitutional and Conservative Studies (DUCCS). ( I was an undergraduate at Legon Hall, University of Ghana from 1975 to 1978). It was Danquah who fought for the establishment of the Cocoa Marketing Board (CMB) in 1947. It was Danquah who vigorously canvassed the people of Asante and the then Northern Territories to join the Gold Coast Colony to become what we know today as modern Ghana. Of course, Nkrumah also did his bit by using the 1956 Plebiscite to cause the UN to recognise parts of Trans-Volta Togoland to become part of modern day Ghana. Nkrumah was vehemently opposed by secessionists such as Dr R.G. Armattoe and S. G. Kofi Antor, who were considered implacable rebels and dissidents. Danquah believed strongly in liberal democracy, hence his idea of federalism and a ministerial system of government for Ghana. However, even the British did not buy into his federalist views for a small country like Ghana. However, Nkrumah was diametrically opposed to the idea of federation as he felt that a unitary state was best for Ghana. At a point in time, Danquah felt that his dream had been stolen by the radical Nkrumah, hence his implacable and fierce resistance to Nkrumah. Danquah joined the National Liberation Movement (NLM) and later the Ghana Congress Party (GCP). The NLM was dubbed a federalist or Matemeho party because of their political tactics which were sometimes deemed and perceived to be ultra-violent, hence the offshoot of the ‘All die be die’ mantra of Nana Addo Dankwa Akufo Addo of the current NPP. Danquah worked with people like Sir Arku Korsah (first Ghanaian Chief Justice) and Kojo Thompson to produce a 400 page draft constitution for the Gold Coast before the advent of the Burns Constitution in the late 40s. It is proper and befitting for us to honour our illustrious leaders and pioneers. Today, we have Danquah Circle in Accra, and the annual Danquah Memorial Lectures at the University of Cape Coast. At one time, our distinguished son of the soil, Busumbrum Kofi Annan, offered the opinion that Nkrumah’s brash radicalism cost Ghana a lot. However, opinions diverge as to the propriety of Nkrumah’s lofty Pan-Africanist ideals and ideas of the full emancipation of blacks around the globe. Perhaps, Kofi Annan would have loved Ghana to have gone the way of Botswana where Sir Seretse Khama worked steadily and closely with the former colonial master till the country attained independence in 1966. Botswana then was a very poor desert country, until much later when diamonds were discovered by the De Beers Group from South Africa for it to become a success story in Africa. Perhaps, the spirit of the times did not fit the environment of gradualism or incrementalism which Danquah and his colleagues had advocated. Whatever the faults of Nkrumah were, he was human and fallible, and as Shakespeare once said, ‘to err is human, to forgive divine’, we need to rise from our ashes like the Phoenix bird and wax strong as a lodestar nation or the African Renaissance. The august body, the African Union, and the BBC, among other respectable global institutions, have all eulogised Nkrumah as the greatest African, and we respect their judgement. Many great academics from around the world have also said so, so who is the so-called ‘Dr’ Samuel Adjei Sarfo, JD, to make bones about these independent and impartial non-Ghanaian verdict on Nkrumah? Or who is Kwame Okoampa Ahoofe Jr to pooh-pooh the laurels of Nkrumah? Is it the case of a prophet having no honour in his own country or among some of his own nationals? Such is the height of ingratitude and the high price paid for being a patriot and pan-Africanist. To me, I go by the Fante proverb that says that those who have cotton wool sticking out of their anuses should not join others in playing the dangerous game of jumping fires. Power games are always dangerous and Danquah sadly enough paid the price of playing that game, leading to his untimely demise in the cold and dank torturous dungeons of Nsawam Maximum Security Prison. I knew one brilliant lawyer and merchant from near my mother’s house in Winneba, indeed a distant relative, who was also incarcerated there at Nsawam, one Mr Baiden Amissah, alias Kweku Damboley. Nkrumah and Danquah are gone and they stridently played their noble parts in their time. Let us let the spirit of the dead lie in peace. What role are we the descendants and current generation of Ghanaians playing to lift high the flag of Ghana? Marie Correlli in Wormwood once wrote, No wise man stops to brood over the past, for, the past is a land of might-have- been where there rains perpetual tears of regret and it is a bleak and lugubrious prospect’(paraphrased). We will be wise to learn lessons from the past and move on as one collective body to exploit our synergistic energies rather than drive wedges of division and diatribe among us, spending useless hours splitting hairs and looking for needles in haystacks, ad nauseum, and comparing and contrasting achievements and misdeeds to no useful avail. You read history of Britain, France, Italy, America, inter alia, and you get wiser. Only sobs and puerile, infantile, juvenile, and bantamweight academic lowbrows and dimwits like DR SAS and cohort/clique dwell on the trivialities and negatives of the past to pollute the body polity in Ghana. To such miscreants and diabolical nation-wreckers, I say enough is enough. They know nothing of the past as they write their treatises based on hearsay and wild speculations. It was much later when diamonds were discovered by the De Beers Group from South Africa that today; Botswana’s success story in Africa is well documented. At the time of Ghana’s independence, it was estimated that a princely sum of 270 million pounds was left in the state coffers. Who would doubt that Nkrumah did not manage our economy prudently? Well, posterity is the judge. An apocryphal anecdote states that after Nkrumah’s overthrow, late President Gnassingbe Eyadema of Togo came on a state visit immediately after Nkrumah’s overthrow. He was taken on a conducted tour of Akosombo, Tema Harbour and industrial estate, Tema Motorway, inter alia. It is said after all that he saw, he interjected, ‘ If Kwame Nkrumah accomplished all these things, why then did you overthrow him?’ I hope the then NLC junta might have explained themselves away on some flimsy excuses. Well, that is hearsay and not corroborated. However, had Ghana followed Danquah’s conservative and constitutional step-by-step process, Ghana’s independence could have delayed by 10 years or more. Danquah was British- trained while Nkrumah was American- trained as they had their tertiary education respectively in Britain and the USA. Thus, Nkrumah evinced the American traits of good salesmanship, marketing, theatrics, radicalism and love for adventure. On the other hand, Danquah wanted everything to be negotiated and processed through the court procedure of due process, or through formalized rigmarole bureaucratic channels. Thus, we can now understand the diametrically opposed strategies and natures of Danquah and Nkrumah. If the two had collaborated, Ghana’s history would have taken quite a different trajectory. However, what is writ is writ and fate cannot be changed. As I write this article, E.T Mensah’s highlife tune rings in my ears, giving me nostalgic feelings of those politically stormy days when we used to chant as children, the words, ‘CPP obeko Assembly, Dombo Krakye, Orennko Assembly’ ,or ‘Odombo, Odombo, Dombo-soo me’. E.T Mensah sang, ‘Am for you, Titi, Am for you, I dey waiting Mama, I dey waiting Papa, Am for you. Am for you, Titi am for you.’ Look out for the next tribute to Osagyefo Kantamanto Oseeadeayo Kwame Nkrumah.